Welcome. My intention is to offer myself as support for those moving through grief, a sacred transition that can feel shattering, life-altering and like we are in unknown territory. I offer myself as a support and guide for those moving through this experience, with one on one counselling, Grief Yoga classes and Grief Workshops. In my Grief Yoga classes and workshops, I speak about creating a sanctuary for us to come together to be with and tend to our sadness, losses, sorrows and grief. Francis Weller, a gifted Psychotherapist, writer and soul activist says, “grief is solitary work we cannot do alone”. This idea of coming together as a community to grieve is a healing balm for our souls as we move through what can be a life-changing experience. To this end, in my classes, workshops or one on one sessions, it is my intention to offer temenos, sacred ground for healing to take place. Grief is universal and yet it has been brushed over and de-valued as a crucial and ripening experience in our culture. Loss is a common thread that binds us all. We will all experience endings and losses in our lives, none of us are spared. We will also all die from this physical experience of embodiment and share the varied emotions that arise when contemplating our own death. The grief experience, as challenging as it can be, is part of our journey here that connects us to the greater web and cycle of life, as well as to our own soul. I view grief work as soul work. While we are grieving, we are often stripped to our core. Sameet Kuma says “We grieve whenever an understanding of our identity has been lost”. This loss of our identity strips away the familiar, that which we thought we knew. Our perceived sense of self is shattered, the masks we wear are ripped off and we are forced to create ourselves anew. We re-member ourselves piece by piece, by being with ourselves in a radically compassionate way, by treating ourselves with kindness and our sadness, with curiosity. My intention is to honor the grief experience as a sacred part of our journey here. An experience that connects us to the greater web and cycle of life as well as to our own soul. I’m extremely grateful for my deep dive into grief after the death of my husband Matthew, which quickly followed our second miscarriage. These losses broke me open in a radically life-changing way. Matthew, my spirit children and many beloved teachers and healers have been instrumental in aiding me find my way to this path and it is in their honor, as well as in the honor of all life, that I offer myself to this work. I offer private sessions in grief support and transpersonal counselling. I draw upon many creative and somatic techniques to assist awareness and clarity rise to the surface. Sessions may include Focusing (an awareness based somatic practice), guided visualizations, Narrative therapy-based Re-membering conversations, dream inquiry, art making, movement therapy, Yoga and Reiki hands on healing. Sessions are an hour in length and are offered in person in Grass Valley, California or via Skype. It is my deepest honor to be able to serve and be present with each person that is drawn to me as they progress along their life path. In this privilege of sharing time and space with them, it is my intention to embody the knowing that each of them is a divine spark of creation with access to all the wisdom they will ever need. Inside them lies access to the answers they are seeking. My highest intention is to embody empty presence for those I serve and as they are held in this space it is my hope that they will encounter their innate wisdom and experience their true nature as the ultimate expression of love that they are. While there are many forms of grief, and each person’s experience is unique, no one is left untouched by its profoundly intimate and potentially transformative presence in our lives. Grief Yoga is a gently guided practice; an exploration through Hatha and restorative Yoga, breath, free movement, sound, mindfulness, and poetry that helps us be with and tend to, the physical, emotional and spiritual effects of grief. We learn to honor grief as the natural response to loss and in doing so liberate ourselves in the joyful potential of a life fully felt. Jemma is YA200hr teacher since 2010 and is also a certified Trauma-Informed Yoga teacher. May I feel safe, supported and held during this process. And may this practice be blessed. Each person’s experience of grief is unique, and yet no one is left untouched by its profoundly intimate and potentially transformative presence in our lives. In this 4 week journey, we come together to be with our loss and grief. We explore what it is for us and how we can tend to ourselves through the experience. We allow space for the idea that grief can be an initiation into a deeper relationship with self and others. We discuss grief in our culture and find ways to move through grief in a way that honors us each individually. We learn skills to offer ourselves kindness and self-compassion through each breath. We delve into the concept of shame and how it can complicate the grief experience. We hold the space for the idea that grief is a sacred transition that connects us to the greater web and cycle of life. We create a container of safety to be birthed anew through the brokenness of our loss. We explore Yoga practices specifically designed for balancing the nervous system through grief. During each of the classes a variety of tools for self-reflection will be offered such as creative therapy techniques, poetry, journaling, sharing and meditation. We also explore Grief Yoga, a led practice of gentle & restorative Yoga, Yoga Nidra and sound healing. No previous Yoga experience necessary. All types of grief and loss are welcome.  Originally from Australia, Jemma Skye Champeau is a dancer and lover of nature, trees and the sacredness of all life. She is a Grief Support Practitioner, a certified Transpersonal Counsellor, and a Hatha Yoga & Trauma-Informed Yoga Teacher. She is an initiated Priestess in the 13 Moon Mystery School tradition and a Reiki master-level practitioner. Jemma has taught mindfulness to teenagers in high schools and inmates in the Wayne Brown Correctional Facility in Nevada County. She is also a Death Doula and a Hospice of the Foothills volunteer. Jemma was a professional dancer for a decade and has taught Pilates since 2003. “Jemma is an amazing, experienced and highly trained yoga teacher! I highly recommend her classes. Also, please refer your clients and friends ASAP. Jemma serves our community with deep compassion coming from her own experiences, and deep inward study. She is constantly updating her skills and educating herself by attending relevant courses in grief work, yoga, death & dying and more.” Akhila Murphy, Co-Founder, Full Circle Living and Dying Collective. By checking this box I consent to the use of my information provided for email marketing purposes. Your email will never be sold or given to anyone else.